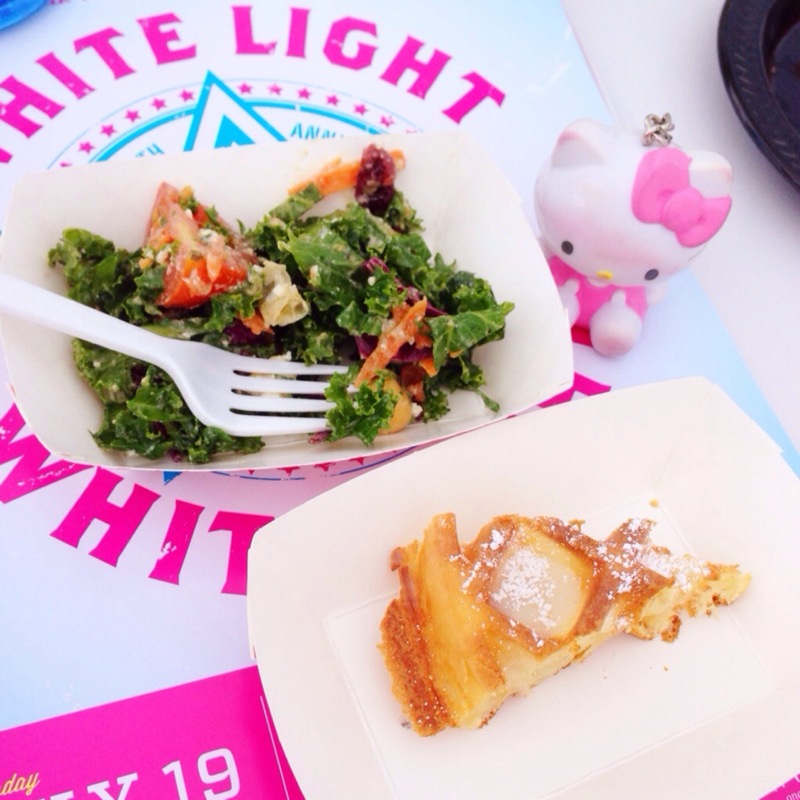 Last year, I was very blessed to cover the 7th Annual White Light, White Night Event for South Bay Foodies. It was one of the very first events I ever had to cover as a media guest and one that was truly special. 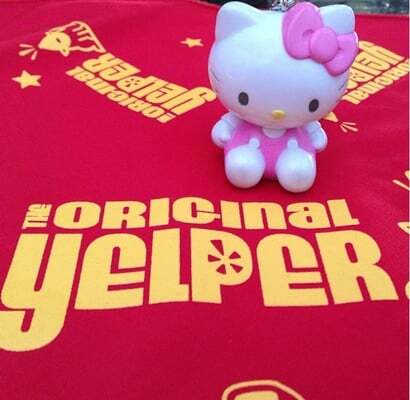 When I got asked to once again attend this year as a media guest for South Bay Foodies, I did not hesitate at all. 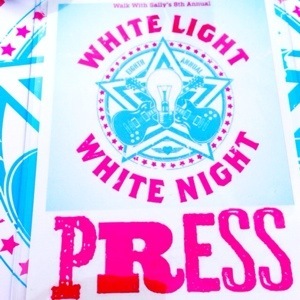 White Night, White Light is a very special evening. Proceeds from the event benefit Walk with Sally’s mission to help out many families impacted by cancer. It is a memorable night filled with lots of love and light, with party go-ers all dressed in white. Part of this event is the “Taste of Los Angeles.” Several of the South Bay’s finest restaurants are present to give guests a taste of their most delicious entrees. On this particular night, there seemed to be something for everyone. Ayara Thai was present offering chicken wings and Yum Pla, Thai snapper salad. The chicken wings had a fiery kick bringing some spice to this hot evening. The Thai snapper salad had Yum dressing, tender Thai snapper on top of Chinese celery and a edible marigold. 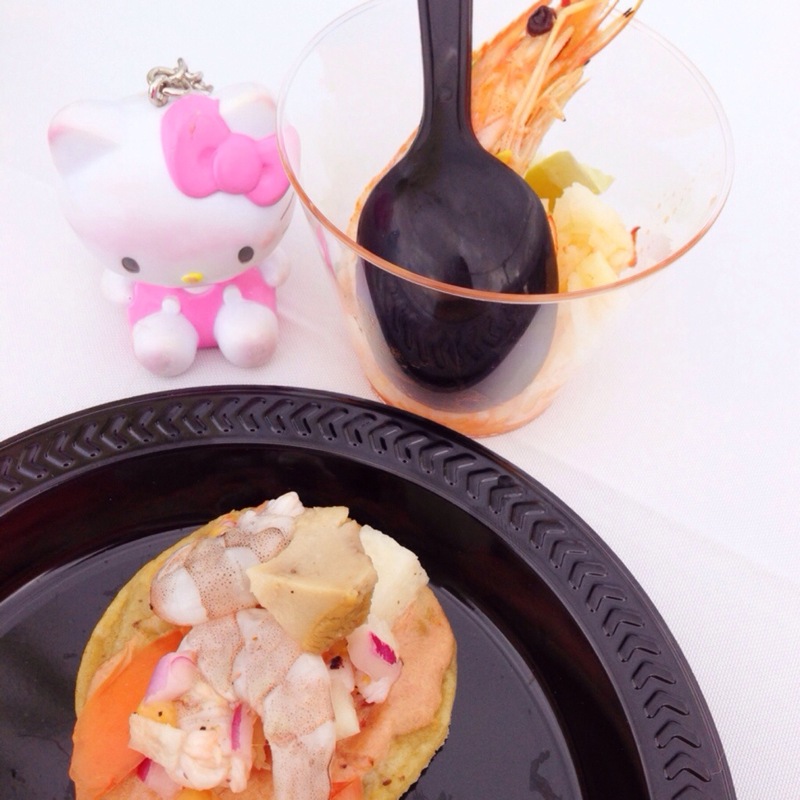 Coni’s Seafood brought some seafood delights to seafood lovers via their borrachos/drunken shrimp and tostaditos with smoked marlin pate, shrimp, octopus and seasnail ceviche. Doma Kitchen offered breakfast and lunch treats aka brunch for dinner via their kale salad and Belgian waffles. The belgian waffles were a deliciously sweet treat for the evening. Hudson House gave out chocolate chip cookies and bourbon milk. 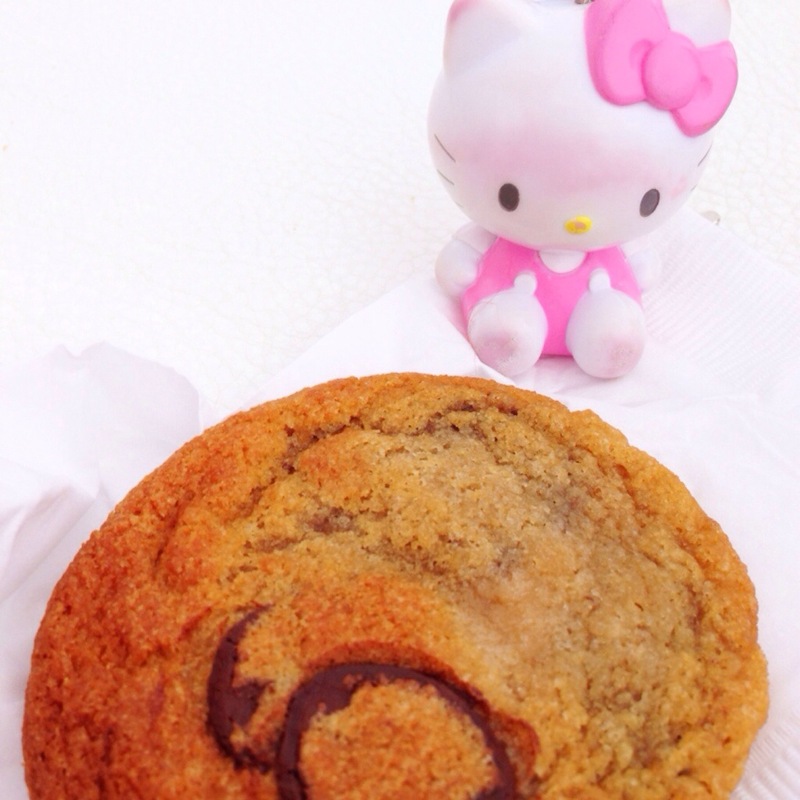 The chocolate chip cookies were so soft and delightful. 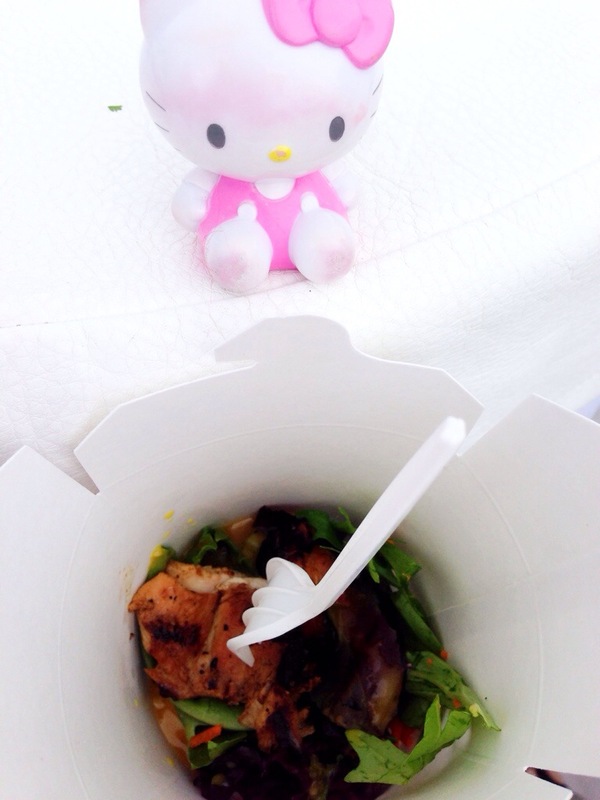 Silvio’s Brazilian BBQ brought a savory BBQ chicken salad that was refreshing and light. 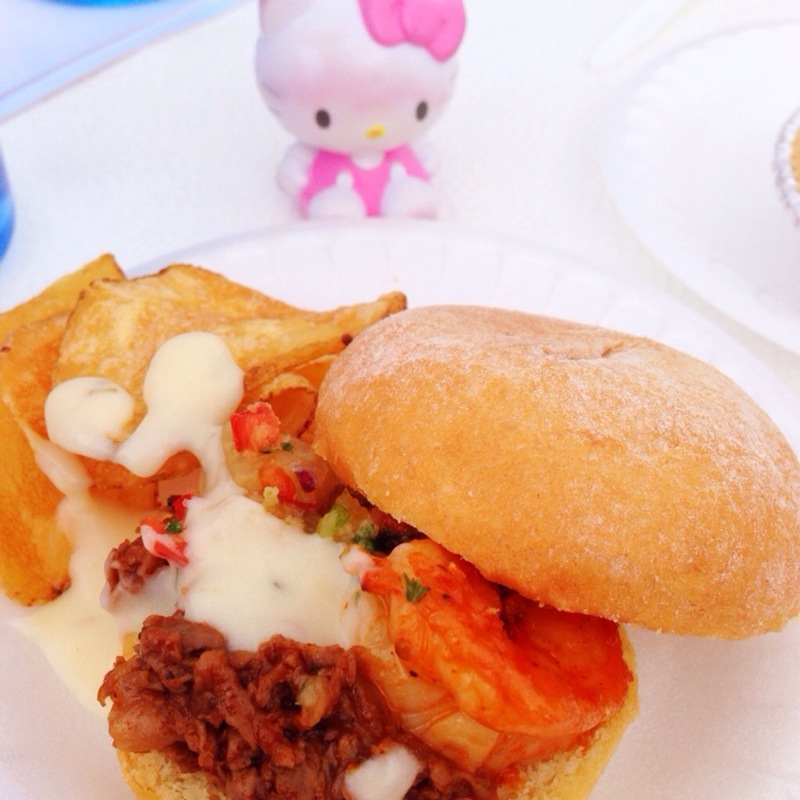 Kincaid’s treated folks to their surf and turf sandwich and key lime pie. 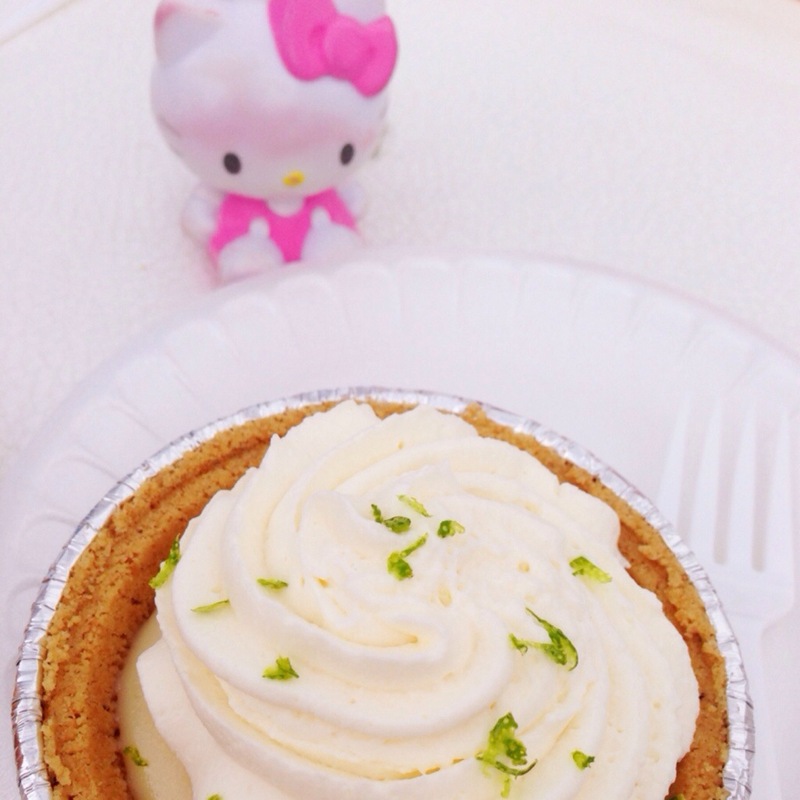 I first fell in love with Kincaid’s Key Lime pie at last year’s White Light, White Night Event and this year it was once again love at first bite and an instant key lime crush. 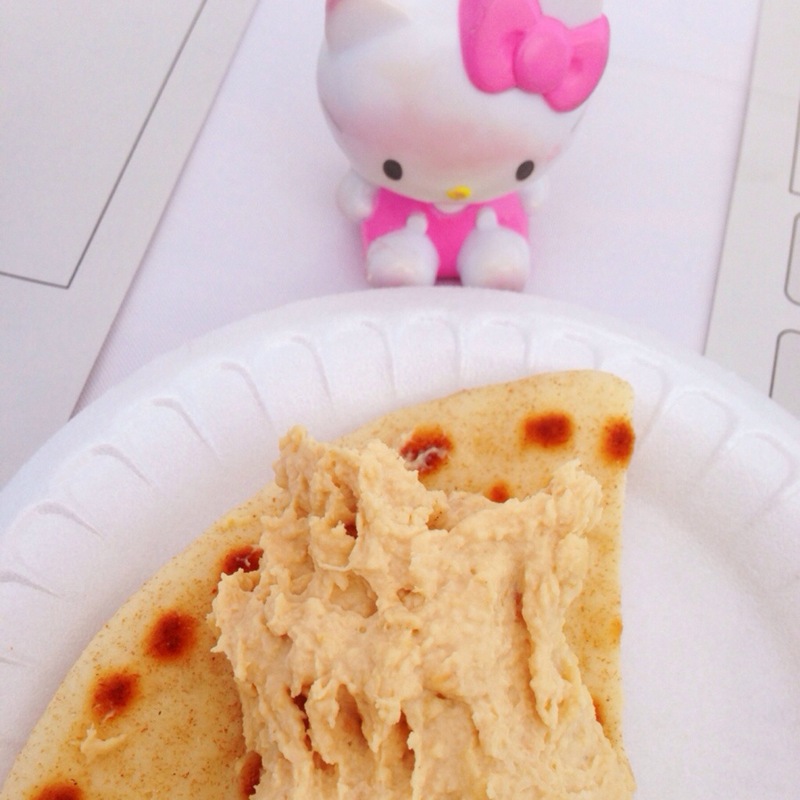 Four Daughter’s Kitchen offered fresh pita and creamy hummus. 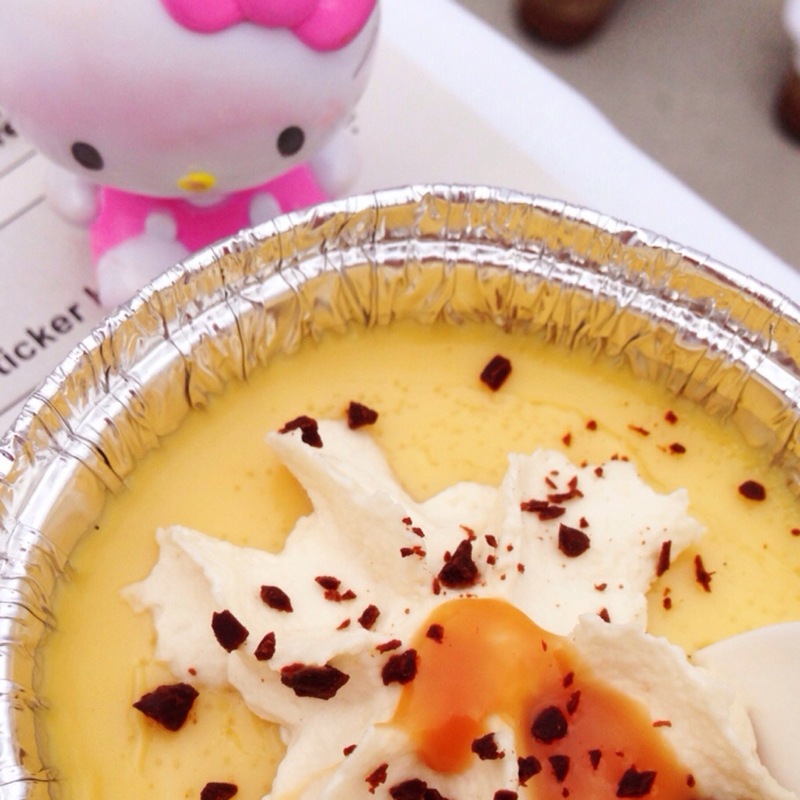 Salt Creek Grille treated us all with butterscotch custard with salted caramel was divine. Last but not least was Torrance Bakery who once again gave meaning to the word wow. 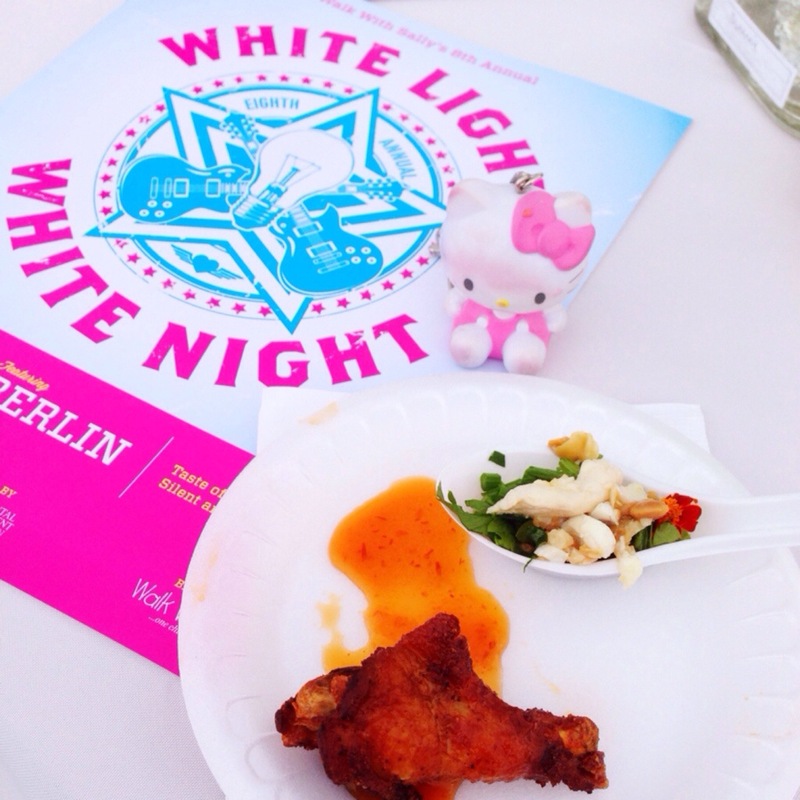 Their spread at the White Light, White Night Event never ceases to amaze me. 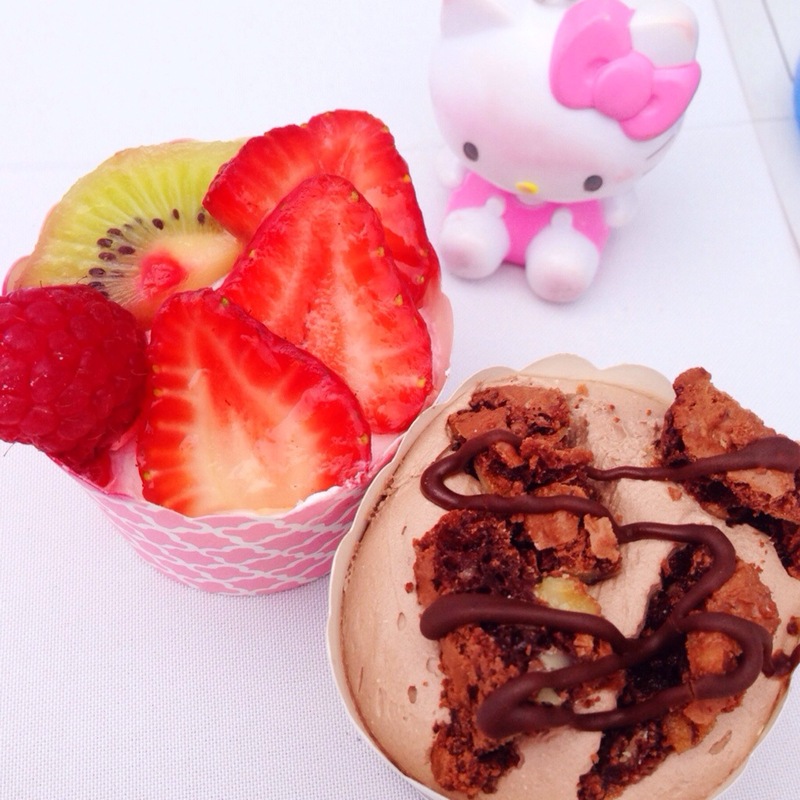 Cakes, cookies, chocolate dipped strawberries…they had it all! It was once again another unforgettable night and I am so happy I got to be a part of this sold out event! 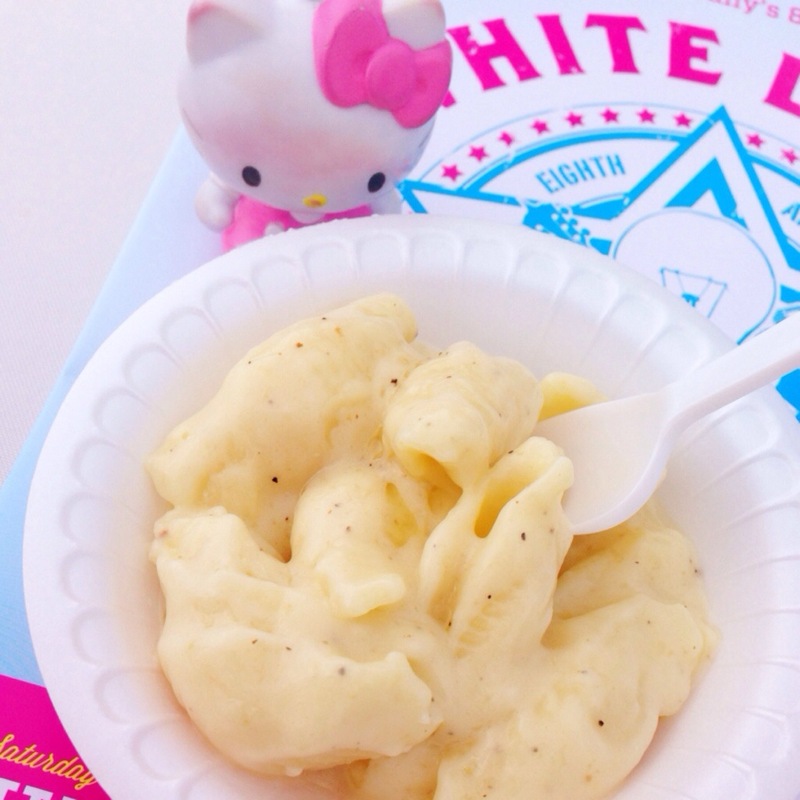 Not only did I get to try so much wonderful cuisine (a food blogger’s dream), I got to once again be part of something special. Beyond the food and the concert (there was a concert held at the end of the evening by 80’s phenomenon Berlin), there was a truly special meaning behind this night. It was a night of hope, a night to help out kids who have faced the hurt of losing a loved one to cancer. I am thankful to have been able to be a part of an evening that aimed to bring smiles to others. 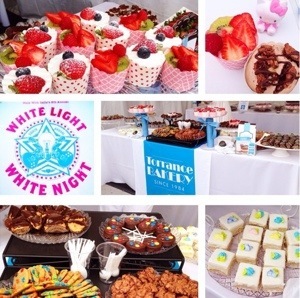 For more smiles, please see my South Bay Foodies write up on the 8th Annual White Light, White Night Event.